The Pulaski County Clerk and Recorder's Office is responsible for maintaining the Pulaski County vital records. 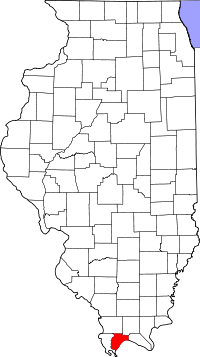 Vital records such as birth, death or marriage certificates for Pulaski County can also be obtained from the Illinois Department of Public Health Division of Vital Records. Vital records began being filed with the state in 1916. Birth records less than 75 years old, death records less than 20 and marriage records less than 50 years old are not public documents. You must be an immediate family member to obtain these documents. You can also search the IRAD Local Government Database for vital records concerning Ford County.